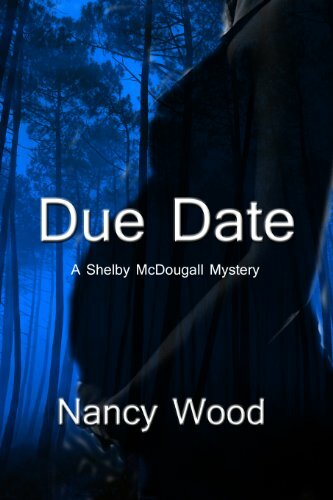 I'm happy to introduce you to talented mystery writer, Nancy Wood, author of Due Date. The story features amateur sleuth Shelby McDougall, who is also a surrogate mother. In the below interview with Nancy, she explains what inspired the story, how it evolved into a mystery, her writing mentor and more. Due Date is available in paperback and as an ebook. To order your copy, click on the book cover to your right. Nancy lives in Santa Cruz, California, where she’s been lucky enough to make writing her career. 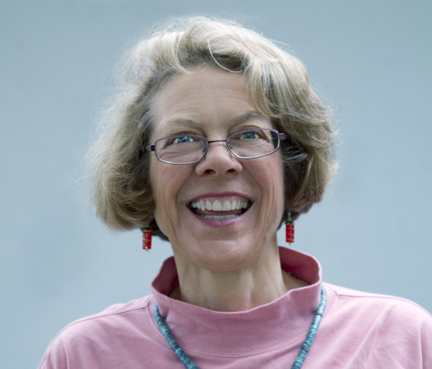 For many years she made her living as a technical writer, working in software documentation. About six years ago, she was laid off from her job and decided to set up her own shop. Now, she’s a writing consultant for the high-tech industry and gets to spend every day grappling with words and sentences. DUE DATE, published by Solstice Publishing, came out at the end of May. This is Nancy’s first published book. She started it about six years ago, and is now working on the second book in the Shelby McDougall series, which she really hopes won’t take quite so long. I’ve been writing for a number of years and have a variety of unpublished novels under my belt, including one that explores the relationship between a birth mother and the adoptive family. I took this manuscript to a workshop, where the leader and participants suggested I turn it into a mystery. At first, the suggestion seemed so ludicrous, I almost laughed out loud: how could I possibly piece together a mystery or thriller that made sense? But by the time I left the conference, I had a 200 word pitch for DUE DATE that I pretty much stuck to the whole time I was writing it. What genre does your book fall into - cozy, mystery/thriller, suspense, police procedural, etc? When I first started writing DUE DATE, I thought of it as a died-in-the-wool mystery, a story with a dead body and crime to solve. But it’s not a typical mystery: there’s no dead body in the first chapter; let alone anywhere in the book! Now that I’ve learned more about the genre, I’d say it’s a thriller. I’ve always been intrigued by open adoptions, where the birth mother and adoptive parents maintain a relationship after the birth. Surrogacy, where the birth mother is carrying a baby for someone else, is even more intriguing. What would a relationship between the surrogate mom and the intended parents be like? Would the relationship continue after the birth? In the second book in the Shelby McDougall series, Shelby will be doing a lot of reading about genetic engineering, which will have a sinister component to it. I’d say both. I like characters with layers and lots of depth, and hope I created memorable characters who have solid motivations with personalities that are believable. But the plot also has to be intriguing and inventive enough that the reader has a reason to keep turning the pages. Another aspect that features into my writing is the setting. I’d say that DUE DATE is also setting-driven, as I love using the natural landscape to mirror a character’s internal life. My book features an amateur sleuth who is a surrogate mother. When much of the story takes place, she’s in her last trimester. I plot ahead of time, but veer off track as I write. Sometimes the plot takes a turn for the better; sometimes I end up with plots that dead-end in dark corners! For some unknown reason, when I look at all the stories and books I’ve written over the last twenty years, all my favorite female characters’ names start with “S:” Sara, Sharon, Sally. I must like the sound of those “S” names. Plus, I don’t know anyone named “Shelby” or “McDougall” so that was a plus. Some of my characters swear. And some swear more than others. The expletives have to be authentic to the character, though. The early drafts of DUE DATE did not contain any swearing, and I was advised to put some in, especially for the villains. For those early readers, the fact there was no swearing did not seem realistic. DUE DATE is set in Santa Cruz county, where I love. I am lucky enough to live in a beautiful place that has a variety of landscapes: there’s the city of Santa Cruz, the university, the miles of coastline, the redwood forests, the oak-studded upland meadows. The second book in the series will also be set here, but will be centered more in south county, outside of Watsonville. Shelby will also travel to Big Sur. Yes, I worked with Mary Carroll Moore, who’s the author of YOUR BOOK STARTS HERE. Mary helped me with the story arc, the characters’ inner and outer lives, the pacing and timing, the dialog. Pretty much everything! I sent her my completed manuscript and she did a full developmental review. Then, as I started my line-by-line edits, I’d email her a chapter every few weeks, and she’d return it, with insightful, helpful comments. I really think that without her help, my book would still be a manuscript and not an actual novel. What's your writing schedule? Do you have a favorite place to write? Every morning, before breakfast, and before other family members get up, I’m at the keyboard. I try to write for an hour first thing, every day. I sometimes sit on the sofa with my laptop, lately I’ve taken to writing in my office. The window looks out on the huge palm tree in our front yard (yes here in Santa Cruz in Central California, there are palms), and I can watch the day begin. On good writing days, I’m reluctant to switch computers (I have two – one for writing, one for work) and start on whatever technical documentation is at hand. On bad writing days, I’m so thankful I can get to something that’s structured and known and knowable! Nancy Drew. Then Agatha Christie. As mentioned above, I’m working on the next book in the series, where Shelby will be drawn back into the conspiracy she battled in DUE DATE. Thanks for hosting me Colleen! I loved THE ZEN MAN and can’t wait to get my hands on THE NEXT RIGHT THING. A legal thriller wrapped up in a romance? Sounds great!